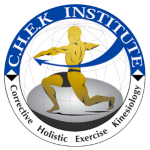 The C.H.E.K Institute’s approach to functional exercise and optimal health was developed by the founder, Paul Chek and is based on his 30 years of clinical practice working with clients from all walks of life, as well as his diverse educational background as a Holistic Health Practitioner, Neuromuscular and Sports Massage Therapist. Paul’s methods are truly holistic, viewing the body as a system of systems – a fully integrated unit where physical, hormonal, mental, emotional and spiritual components must be considered. At AOK fitness we undertaken a variety of different C.H.E.K. courses and are qualified as a C.H.E.K Practitioner and CHEK Holistic Lifestyle Coach. C.H.E.K Practitioners are specialists in Corrective Exercise and High-performance Kinesiology. They are trained in assessment techniques and individualized application of exercise and exercise programs. The higher the level completed, the more practical knowledge and experience they will have, particularly in complex orthopedic conditions. 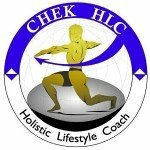 C.H.E.K Practitioners have completed the CHEK Exercise Coach program and one or more levels of the C.H.E.K Practitioner Program, including all the required prerequisites for that level. CHEK Holistic Lifestyle Coaches are specialists in wellness, stress management and lifestyle coaching. They have completed one or more levels of the CHEK Holistic Lifestyle Coach program, including all the required prerequisites for that level. The higher the level completed, the more practical knowledge and experience they will have. CHEK Holistic Lifestyle Coaches come from a highly varied background including fitness professionals, health care professionals, nutritionists, dietitians and so on. Due to this varied mix of professional backgrounds, the actual services offered by CHEK HLCs vary depending on the permitted scope of practice of their professional license or degree in their particular state or country.